The photos of orchids offered here have been taken by Don Dennis, the Director of IFER over a number of years, with the orchids he grows in his greenhouse. 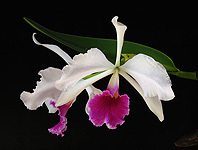 Our orchid collection contains over 600 plants, with more than 60 genera, and more species than hybrids. 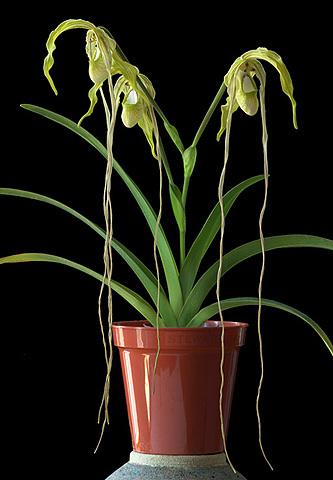 The principle focus of the collection is with the genera Phragmipedium, and Bulbophyllum. The photos will be posted to you in a sealed plastic mailing tube, so they should arrive in perfect condition. Please take care always when removing a photo from the tube! Ease the tension in the roll before taking the photo out. The inks we use are guaranteed by Epson for at least 75 years against fading by exposure to light, and the paper we use is very high-quality photo inkjet paper. Our intention is to offer you the finest possible photographic prints. 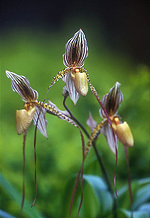 Species of slipper orchid native to Bhutan, SW China, NE India, Myanamar and the eastern Himalayas. 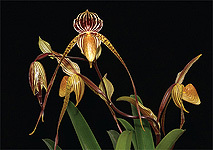 There are roughly 100 species in the genus Paphiopedilum primarily found throughout SE Asia. A primary hybrid within the genus Phragmipedium which is found in Central and South America. There are roughly 30 species in the genus. A cross of Phrag. besseae (from Peru & Ecuador) and Phrag. lindleyanum (Guyana & Venezuela). 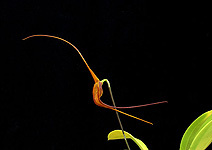 The discovery of the deep red Phrag. 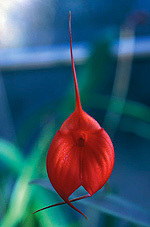 besseae in 1981 is widely regarded as the orchid discovery of the 20th century. 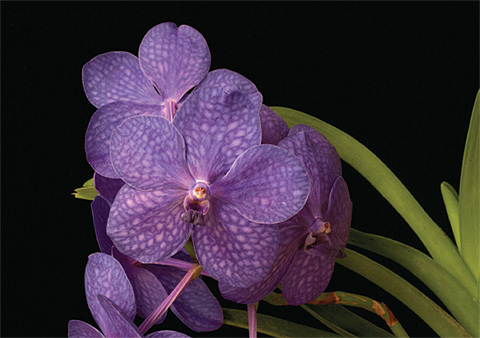 Vandas and Ascocentrum are two closely related genera, which enables them to be crossed to create the genus Ascocenda. 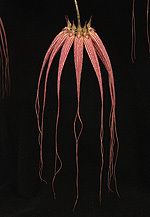 The original genera are found in SE Asia. A second-generation besseae hybrid within the genus. 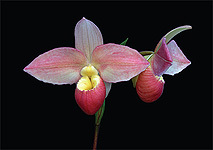 Phragmipedium which is found in Central and South America. There are roughly 30 species in the genus. This cross was created by the Eric Young Orchid Foundation in 1996 on Jersey in the Channel Islands. Species of orchid found in the forests of Borneo and elsewhere in SE Asia from sea level up to 1700m. There are roughly 1200 species in the genus found throughout the tropics, but especially in SE Asia. 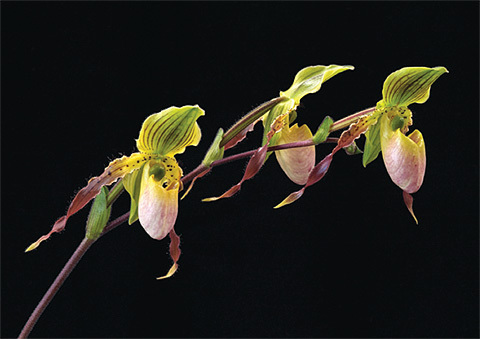 Hybrid slipper orchid of the genus Paphiopedilum which is primarily found throughout SE Asia. This is a primary cross of Paph. stonei and Paph. rothschildianum both of which are native to Borneo. There are roughly 100 species in the genus. 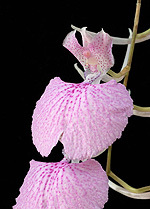 Hybrid slipper orchid of the genus Paphiopedilum which is primarily found throughout SE Asia. This is a primary cross of Paph. philippinense (found in the Philippines & Borneo) and Paph. primulinum (Sumatra). There are roughly 100 species in the genus. Species of orchid found in Mexico and Honduras. 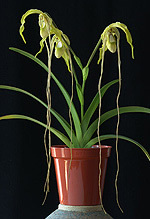 The fragrant blooms appear on the end of a long spike, usually in mid-Winter. 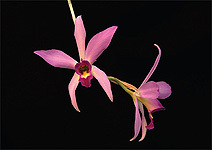 Many of the several dozen species of the genus Laelia are also found in Brazil. Species of orchid found in Peru and Ecuador, member of one of a large genera of some 600 species found in Central and South America. 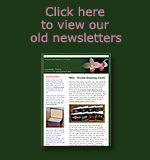 Most abundant at higher elevations in the cloud forests. Beautiful, very elegant bloom, aptly named. 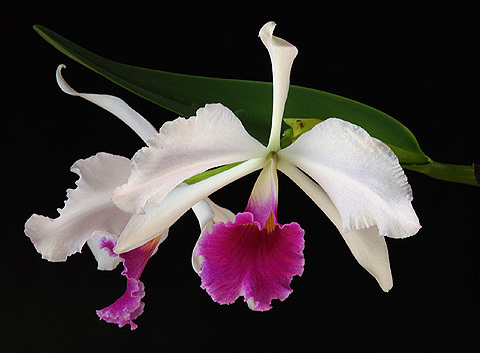 There are some 53 species of Cattleya found throughout South America, while the genus Laelia is found in Central America (especially Mexico) and has roughly 11 species within it. 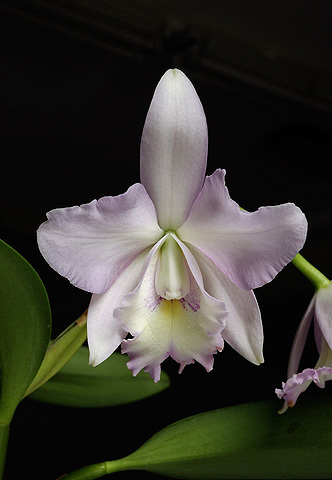 However, these two genera interbreed very readily, and to date there are well over 2,000 Laeliocattleya hybrids. A species of Phragmipedium which is found in Ecuador and Colombia. 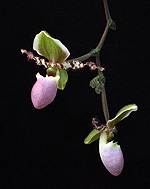 There are roughly 30 species in the genus Phragmipedium. Note the almost bone-china white of the inside of the pouch. 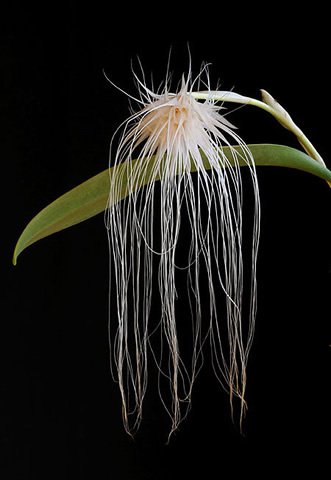 A magnificent primary hybrid of two species of orchid found in the forests of Thailand. There are roughly 1200 species in the genus found throughout the tropics, but especially in SE Asia. Hybrid slipper orchid of the genus Paphiopedilum which is primarily found throughout SE Asia. This is a primary cross of Paph. 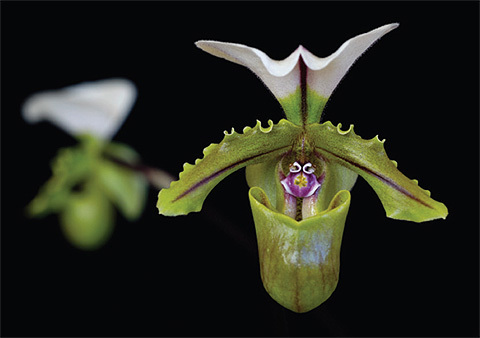 philippinense (found in the Philippines & Borneo) and Paph. rothschildianum (Borneo). There are roughly 100 species in the genus. 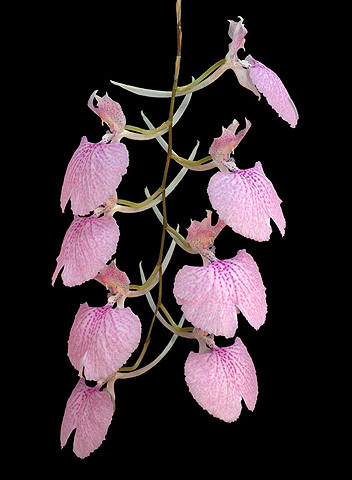 Hybrid orchid (M. welischii x M. Copper Angel), member of one of a large genera of some 600 species found in Central and South America. 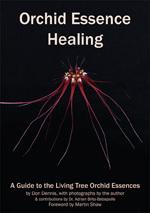 Most abundant at higher elevations in the cloud forests. The genus Comparettia is found in Central and South America and in the Caribbean, although there are fewer than a dozen species. 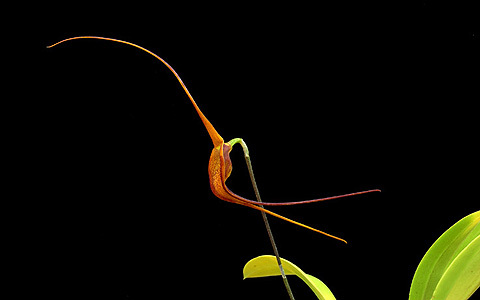 The delightful Comparettia macroplectron is found in only in Colombia. 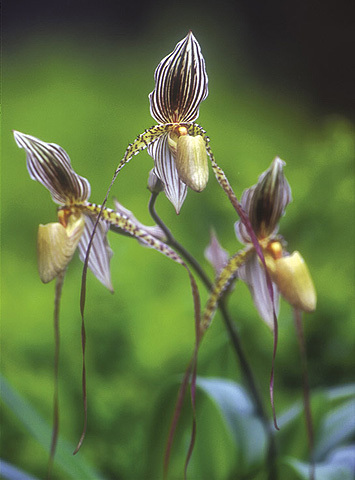 Species of slipper orchid of the genus Paphiopedilum found only in North Sumatra. 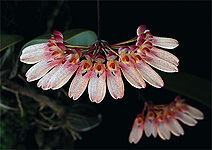 A successive bloomer, a small specimen may be in continual bloom for 18 months or more. There are roughly 100 species in the genus. 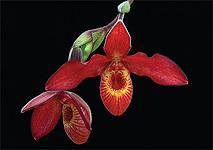 Species of orchid found in the forests of Borneo, Malaysia, Thailand and Sumatra where it is found in lowland forests from sea level up to 400m. There are roughly 1200 species in the genus found throughout the tropics, but especially in SE Asia.